Euphorbia virgata (leafy spurge) is a perennial (family Euphorbiaceae) rhizomatous erect herb. 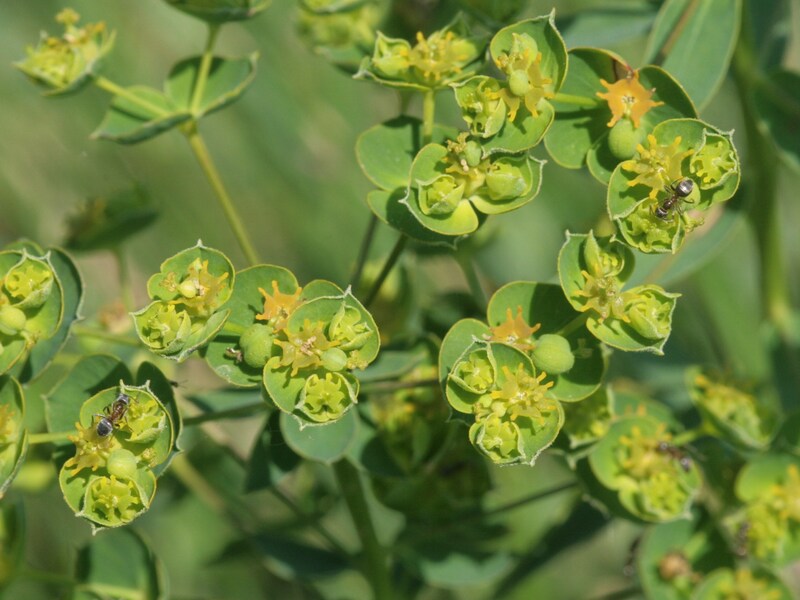 Euphorbia esula can be found in scattered locations throughout northern California and crowding out native plant species. It can invade and dominate a variety of vegetation types, including prairies, grasslands and pine savannahs.